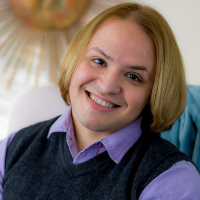 Hi, Im Carlos, a Licensed Professional Counselor, Certified Sexologist and Relationship Coach, with years of experience working with couples and individuals on relationships, communication, self esteem ,LGBT issues, and various mental health disorders. I have a Bachelor's degree in Psychology and a Master's degree in Counseling. I currently provide Mental Health Consultation for a Fortune 500 company and provide therapy to the local LGBT community. Having worked in many settings including private practice, crisis residential clinics, and community mental health clinics has provided me the ability to assist all sort of individuals with all types of needs and backgrounds. I am a Kink and Poly Friendly Therapist whose approach is pretty eclectic, as everyone is different and has different needs. I do like Solution Focused approaches with an emphasis on Narrative therapy, to help my clients rewrite their past and create the bright future they deserve. I take a very modern approach to therapy and will work with you to help achieve a better you. He is very open-minded and flexible while providing structure when appropriate. I hit the jackpot! Carlos has really helped me a lot. From helping me sort through some heavy traumas to just reminding me that I'm okay and doing well - I haven't been this confident and self aware in years! He will help you to set short and long term goals, listening to any ranting and raving you need to do and is generally just a nice person to talk with. Also - check out his YouTube channel, his videos are a winning combo of interesting and entertaining! I definitely love working with Carlos. It feels like I was talking with a really fun friend, who's very understanding and empathetic, and at the same time, offers really great advice/suggestions to your problem. He also made me realized that I have more qualities than I ever give credit to myself for. Thanks for everything! I really like the style of the help. Messages are sent in a timely manner, and replies are always non-judgmental and understanding. I’ve been improving my self a lot in my life and reflects on the way that I’m been more active and passionate about. Carlos is amazing. He is very organized and always reply very quick. Every time I had a live session he was very punctual and addressed all the issues I was concerned about. I completely recommend him. Carlos gets to the point. Is it always comfortable (for me) to think about and seek answers to the difficult questions - hell no! [NOT saying Carlos is making me feel uncomfortable - NOT AT ALL!] Is it necessary, and more importantly...is it working? Hell yes! He is patient, encouraging and just a nice human being who I feel absolutely comfortable with. Thank you, Carlos. Carlos, is an amazing therapist! He goes deeper into understanding what’s really going on and he gives the best advice. He makes you think a little bit which is also a good thing. He truly tries to understand and you can tell he really cares. We love him! We haven't been working together long, but I already feel like we've got more of a rapport than I've had with any of my previous therapists. Carlos Cavazos es mi consejero. Es una persona muy amable y respetuosa. Lo recomiendo muchooo!!!!! Me contesta en cuanto puede. Would you like to write a review for Carlos Cavazos? We'd appreciate if you can spend a couple of minutes to write a short review for Carlos Cavazos (MA, LPC). This review would be shared with Carlos Cavazos. It may also be posted in our website or in Carlos Cavazos's profile but it would be anonymous and your identity would be kept completely confidential.